Tupac's music lives on, 21 years later. September 13th, 1996 is a day that continues to be remembered as one of the saddest moments in the history of hip-hop music. At University Medical Center of Southern Nevada in Vegas, legendary Tupac Shakur passed away after being taken off life support by his mother, Afeni Shakur. He was 25 years old. The rapper had been fighting for his life for six days prior, after sustaining multiple gunshot wounds while in the passenger seat of a car that then-Death Row executive Suge Knight was driving. The two men were en route to a nightclub party after taking in a Mike Tyson boxing match on September 7th, 1996. 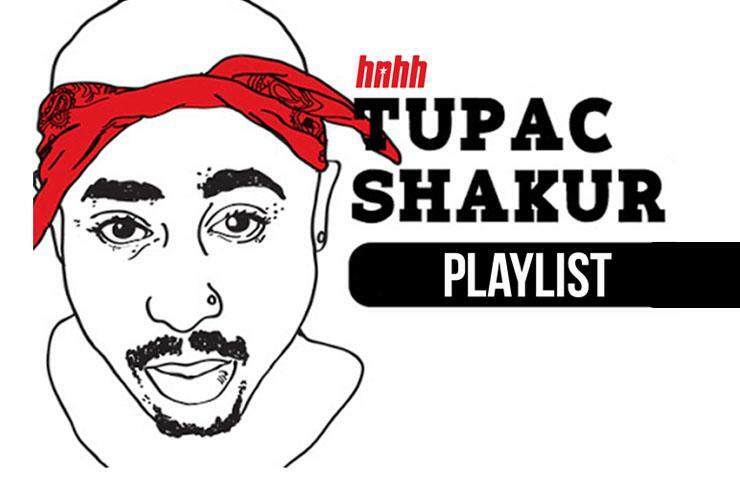 Today, 21 years after his passing, we honor the legacy of Tupac with a special commemorative Spotify playlist, which you can listen to below. Born on June 16th, 1971 in East Harlem, New York, Tupac had a nomadic upbringing, with his activist/drug addict mother moving his family around several times while he was growing up. Beginning his career as a backup dancer and occasional emcee in the hip-hop group Digital Underground, he eventually branched off and enjoyed incredible success as a solo artist, beginning with his debut album 2pacalypse Now in 1991. What followed was a career that showcased Pac as not only one of the great performers of his generation, but also as one of the most thoughtful, poignant and highly political lyricists that hip-hop music has ever seen. He was also an active participant in the famed West Coast vs. East Coast rap beef that came to a head in the mid-1990's, especially when it came to his rivalry with The Notorious B.I.G. and, more generally, Bad Boy Records - another massively popular label that butted heads with Knight and Death Row on the regular in those days. Adding to his larger-than-life persona was his budding career as an actor, scoring memorable roles in films like Juice, Poetic Justice and Above The Rim, where he starred alongside another music icon, Janet Jackson. Want more Tupac in your life? Check out our list of essential tracks from the legendary rapper. You can also peep our list of contemporary emcees who have compared themselves to Pac. Finally, make sure you follow our feed on Spotify so you can enjoy all of our curated playlists, including our world-famous staple, Fire Emoji.